RABAT – Four unions representing workers at Maroc Telecom on Thursday called a three-day strike from Aug. 29 to press management at Morocco’s main telecom operator for better pay. Unions including the main Democratic Labour Confederation (CDT) and Moroccan Labour Union (UMT), called for the strike at the company which in July revised down its revenue outlook due mainly to local competition. Spokespeople at Maroc Telecom, controlled by French telecoms group Vivendi , could not immediately be reached for comment. 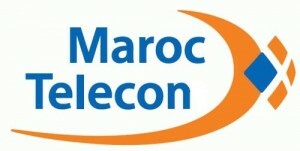 Maroc Telecom directly employs 11,000 people and its affiliates have 2,900 employees. “The strike will weigh on the firm’s sales. It falls in the festive period towards the end of (the Muslim fasting month of) Ramadan which usually witnesses a surge in demand,” a Casablanca-based trader said. Until around a decade ago, Maroc Telecom was a state-controlled firm where productivity and profitability were relatively alien concepts. It has however become Vivendi’s second-most lucrative subsidiary after its French arm SFR. Unions want the firm to raise wages, introduces bonuses that reflect increases in profitability and ensure fairness in staff promotion, they said.